Adding perfume and essential oils, perfect aroma diffuser without using a hot ring. 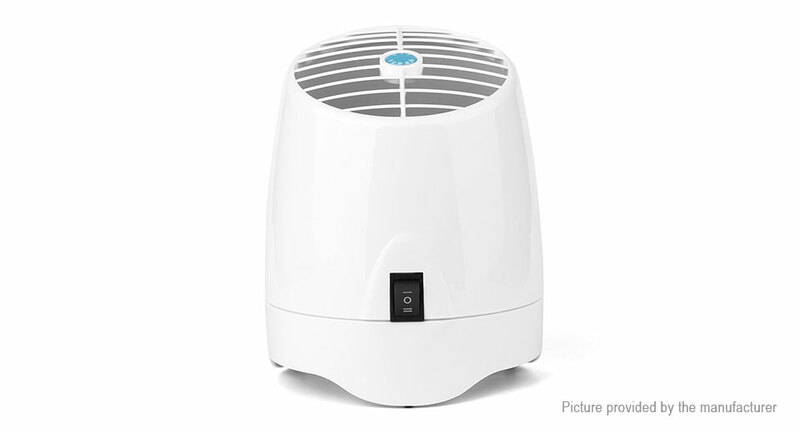 Ozone and anion function, purify air. Kill germ. Safe, working in sleeping time. With filter element, can filtrate big particle such as dust, and hair and scurf. With most essential oils only a single drop is required on one segment of the vaporizing cartridge. To change oils simply run the Aroma Stream until the fragrance of the existing oil has passed, then apply another oil to the cartridge. Alternatively a separate cartridge may be used for each oil. To save any remaining oil on the cartridge simply store in self-sealing bag provided. Oils may be mixed to your own preference by either putting more than one oil on the cartridge at any one time, or blending oils before they applied. Place the unit on a surface that does not obstruct airflow into the base. To operate, connect to mains supply and switch on.